Aries is the first of the twelve zodiacs. It represents the beginning of all things and usually displays a strong desire to lead. Aries is adventurous, energetic, pioneering, and courageous. Arians always want to be on top. They tend to be frank and open but also self-centered and willful. Arians love adventure and almost has no fear. All is done with great enthusiasm which affects the people around them. Aries is loyal to family and friends. Aries is ruled by the forceful Mars. Arians are good athletes, doctors, explorers, soldiers, and leaders. Sometimes they like physical, emotional and mental extremes but Arians should be careful not to go too far with their extremism. Taurus is the second sign of the zodiac, representing growth and development. Taurus is patient, reliable, warmhearted, loving, persistent, and determined. It likes few changes which determines its reserved and practical nature. Taurueans show a great interest in all physical matters. Taurus is faithful to friends and lovers. However, when insulted Taurueans remember it forever. No other sign in the zodiac is closer to earth then Taurus. Taurus is ruled by Venus and seeks harmony with its surroundings. Taureans like being part of a team. However, they have reputation for stubbornness. Taureans are good teachers, scientists, designers, and chefs. Gemini is the third sign of the zodiac, representing quickness of thought. Geminis are good communicators. They are active and clever. Geminis are adaptable, versatile, communicative, witty, intellectual, and eloquent. Sometime they can be pessimistic which is caused by their dualistic nature. Geminis like being part of a group. They always follow the rules of the game. Understanding and tolerant, they can be helpful in any situation. They usually liven up any social gathering with their ideas and verbal facility. Gemini is ruled by Mercury. Geminis can adapt to any situation, however they still try to keep their independence. Geminis like to travel and socialize. Geminis are good lawyers, politicians and public speakers. Cancers are protective, traditional, and emotional. Cancer is probably the most emotional of all the signs. This makes Cancers romantic and shy. Sometimes Cancers can be aggressive in getting what they want. They like extremes: they can be joyful and melancholic in a short period of time. The heart of their personality is sensitivity. They take everything very personally. Cancers will find their security in their families. They give high value to their homes which should be luxurious. Cancers do not like to be criticized or insulted. Cancer is ruled by the moon. Cancers like to give away things. They are good lawyers, architects, designers, and painters. Leos are like lions: energetic, free, and independent. Leos likes to get things done. They are excellent leaders because of their authoritative and confident character. They are very loyal to other people, even to their enemies. They like to socialize and give away presents. They like to buy fancy items. Leos like to get the attention of others. They can do many different jobs and learn easily. They always follow their principles so it is very unlikely to be surprised by a Leo. They also like children and are good entertainers. Leo is ruled by the Sun. Leos are optimist because of their strong confidence in themselves. Leos are good leaders, managers, performers and negotiators. Virgo likes to attack back when confronted. Virgos need to receive a lot attention, adoration and gratitude. Virgos are accurate, competent and effective. They like rationality. Virgos like to help and solve problems quickly. They do not do it for compliments. Virgos are not wasteful. Being perfectionists, they like order and cleanness in their home. Virgos change friends often. They have only a few real friends because they give very special values to friendship to which other people cannot commit. Virgo is ruled by Mercury. Virgos are very bright and educated. They are good scientists, teachers, analysts and planners. Libra is very sociable and likes being a part of a group. Libras have gentle and refined personalities and like to be praised and pampered. Libras are perfectionists. They like to give fair justice when they hear all disputing sides. Libras are loyal, caring, nice, and adaptive. Libras are very trustworthy in friendships and relationships. Sometimes this makes them unreasonably possessive to other people. Libras like large, open spaces like halls and stadiums. They like to be out in nature. The sign is ruled by Venus. Libras also are very devoted to what they do and always try to get things done with excellence. Libras are good judges, managers, writers and social workers. Scorpios have very complicated personality. They are clever, non-compromising, calculating, and self protective. Money is very important for them. Sometimes they have "a sixth sense": they can feel things by intuition that other people cannot. They are very loyal and protective towards friends and loved ones. They can change radically according to the situation. Scorpios could say something and have in mind exactly the opposite. They are good actors. They can "poison" other people at any time - a harm that may last for long time. They would do anything to accomplish their goals. In relationships, they could be dangerously jealous. They are also passionate and caring. Scorpio is ruled by Mars. Scorpios are good teachers, actors, businessmen, accountants and sociologists. Sagittarius has energetic and active personality. People carrying this sign what to know everything and everyone. They are also like to travel and to be close to nature. Sagittarians are optimistic, faithful, and honest. Other people often share their problems with Sagittarians to seek help and understanding. Sagittarians are not very emotional. They adjust quickly to any environment. Sagittarians are good friends but still they keep their freedom and neutrality. Sagittarius is ruled by Jupiter. Sagittarius are very curious by nature. Such curiosity makes them well educated and intelligent people. Sometimes Sagittarians can be rebellious but they can quickly calm down and return to their ordinary nature. Sagittarius are good salesmen, scientists, researcher and analysts. Capricorns never repeat their mistakes. They are very careful, slow, practical and thrifty. Their reserved personality can cause problems in their relationships. They are faithful to their family and loved ones. Their personality is also kind and affectionate but is suppressed by shyness. Trying to be perfect in everything they undertake, they often miss great opportunities because of insecurity in their abilities. Careful planning and insuring against any negative outcome is a must for all their deeds. Capricorn is ruled by Saturn. Capricorn's nature can be easily changed when they are loved or respected by other people. Capricorns are good brokers, politicians, economists and bankers. Aquarius CharacteristicsAquarius have a god sense of humor. They are gentle and caring and they are not very sociable. They to prefer to be alone or with their closest friends. That's why **uarius chooses its friends carefully. They like to receive compliments and are ready to forgive when harmed. They can easily entertain other people which makes them charming and wanted. Usually they are calm and sincere. However, when they get angry, they can be dangerous. Most of the times they overestimate the sincerity and the promises of their partners for which they regret later on. **uarius is ruled by Saturn and Uranus. **uarians are good workers and usually are paid well. **uarians usually have many different hobbies and are creative and skilful in many areas. **uarians are good computer scientists, doctors, pilots and writers. Pisces are a little bit of everything. They are independent and mystical. They are sensitive and loving. They can easily adapt and change according the situation. Sometimes they are so colorful that they contradict their own rules and principles. Pisces can handle many different tasks at once and be successful in all of them. They can tolerate other people's behaviors. This makes very strong friends out of them. They also learn easy and can change professions without concern. Although trying to be independent, they like to have somebody above them to mange all the tasks they perform. Pisces are ruled by Jupiter and Neptune. They are religious and pay strong attention to family and relationship values. 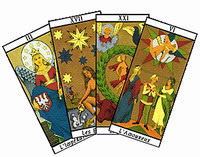 Pisces are good for any profession as long as they are not the major players. Koç Burcu: Sana ilk tohumu ekme onurunu veriyorum. Ektiğin her bir tohuma karşılık elinde bir milyon tohum bulacaksın, fakat onların büyümelerini görecek vaktin olmayacak. İnsanların aklına ben'i yerleştirecek, ilk kişi sen olacaksın, fakat bu düüşnceyi geliştirme ya da hakkında soru sormak senin görevin olmayacak. Yaşamının sebebi eylemdir ve bu eylem insanlara benim yaratıcılığımı haber verecektir. İyi çalışabilmen için sana kendini beğenme özelliğini veriyorum”. Ve Koç sessizce yerine çekildi. Boğa Burcu: Sana tohumu madde haline getirme gücünü veriyorum. Başlanmış olan bütün işleri senin bitirmen gerektiği için görevin çok sabır istemektedir, aksi halde tohumlar rüzgarda savrulup kaybolacaktır. Yapmanı istediğim bu görev için soru sormayacak, işin ortasında düşünceni değiştirmeyecek ve başkalarından destek beklemeyeceksin. Bunun için sana güçlülüğü veriyorum. Onu akıllıca kullan. Ve Boğa yerine çekildi. İkizler Burcu : Sana insanların çevrelerinde gördükleri şeyi anlamalarını sağlayabilmen için cevapsız sorular veriyorum. İnsanların neden konuşup, neden dinlediklerini hiçbir zaman bilmeyeceksin, fakat cevap bulmak için yapacağın araştırmalarda sana armağan olan bilgiyi bulacaksın. Ve İkizler yerine çekildi. Yengeç Burcu : Sana insanlara duyguyu öğretme görevini veriyorum. Bütün duyguyu yaşayarak öğrenmeleri ve olgunluğa ulaşmaları için onları hem ağlatıp hem güldüreceksin. Sana olgunluğu hızla arttıracak olan aile armağanını veriyorum. Ve Yengeç yerine çekildi. Aslan Burcu : Sana yaratıcılığımın tüm görkemini dünyaya gösterme görevini veriyorum. Ancak azametinde dikkatli olmalı ve bu yaratıcılığın senin değil, benim olduğunu daima hatırlamalısın. Eğer bunu unutursan, insanlar seni küçük göreceklerdir. Bu görevi iyi bir şekilde yerine getirirsen, büyük haz duyacaksın. Bunun için sana armağanım ‘onur'dur. Ve Aslan yerine çekildi. Başak Burcu: Senden insanların benim yarattıklarımla neler yaptıklarını sınamanı istiyorum. Onların ne yaptıklarını dikkatlice inceleyip kusurlarını hatırlatacaksın ve böylece benim yarattıklarımı iyice öğrenmelerini sağlayacaksın. Sana bunu yapabilmen için saf düşünceyi armağan ediyorum. Ve Başak yerine çekildi. Terazi Burcu: Sana insanların birbirlerine karşı olan görevlerini hatırlayabilmeleri için hizmet erdemini veriyorum. Böylece insanlar işbirliğini öğrenecek ve kendi davranışlarının diğer yönlerini de yansıtma yeteneğini edineceklerdir. Ve uyumsuzluk olan yere seni yerleştireceğim ve bu gayretlerin için sana armağanım sevgidir. Ve Terazi yerine çekildi. Akrep Burcu : Sana çok güç bir görev veriyorum. İnsanlara düşündüklerini anlama yeteneği verdiğim halde, anladıklarını söylemene izin vermeyeceğim. Birçok kez gördüklerinle acı çekecek ve bu acı ile benden uzaklaşacaksın. Bu acının benden değil benim yanlış anlaşılmış olmamdan doğduğunu unutacaksın. Birçok insanı hayvan gibi görecek ve onların hayvansal içgüdüleriyle öylesine uğraşacaksın ki yolunu saşıracaksın, fakat sonunda yine bana döneceksin. Akrep sana en üstün armağanım olan ‘amaç’ı veriyorum. Ve Akrep yerine çekildi. Yay Burcu : Senden beni yanlış anlayıp çaresizliğe düştüklerinde insanları güldürmeni istiyorum. Güldürme insanlara umut verecek ve bu umutla insanların gözlerini bana çevirmelerini sağlayacaksın. Birçok kişinin yaşamına yalnız bir an için girecek ve girdiğin her yaşantıdaki huzursuzluğu tanıyacaksın. Sana Yay, karanlıktaki her köşeye erişip aydınlatabilmen için sonsuz bereket veriyorum. Ve Yay yerine çekildi. Oğlak Burcu: Senden insanlara çalışmayı öğretmen için alınterini istiyorum. Tüm insanların yükünü omuzlarında taşıyacağın için bu görev hiç de kolay değildir. Ama bu boyunduruğun yükü için senin ellerine insanlığın sorumluluğunu koyuyorum. Ve Oğlak yerine çekildi. Kova Burcu : Sana insanların tüm olanakları görebilmeler için gelecek kavramını veriyorum. Benim sevgimi kişileştirmen için yalnızlık acısını çok duyacaksın. İnsanların gözlerini yeni olanaklara çevirebilmeleri için sana özgürlüğü armağan ediyorum. Ve Kova yerine çekildi. Balık Burcu: Sana hepsinden daha güç bir görev veriyorum. Senden insanların üzüntülerini toplayıp bana geri getirmeni istiyorum. Senin gözyaşların sonunda benim gözyaşlarım olacak. Senin topladığın üzüntüler insanların beni yanlış anlamalarından doğmuş üzüntülerdir, fakat senin onlara vereceğin şefkatle onlar yeniden beni anlamaya çalışacaklardır. Bu güç görev için sana en büyük armağanımı veriyorum. Sen on iki çocuğum arasında beni tek anlayan olacaksın, fakat bu anlayış yalnız senin içindir, sen onu insanlara anlatmak istediğinde onlar seni dinlemeyeceklerdir". Ve Balık yerine çekildi. Terk edilmiş koç burcu: Terk edilen Koç en kısa süre içinde kendine başkasını bulacaktır. Bu sizi üzmesin. Onun yapısı böyledir. Eğer ilişkiyi siz bitirirseniz Koç hemen en tatlı tavrını takınacaktır. Amacı sizi yeniden elde edip edemeyeceğini görmektir. Koç avlanmayı sever. Ama ilişki bittiğinde yeni bir zafere doğru yola çıkar. Onun yeni birini bulmakta aceleci davrandığını düşünüp aslında sizi sevmemiş olduğunu sanabilirsiniz. Ama bu yanlıştır. Sizi sevmiştir. Ancak Koç için bir ilişki bitince biter. Geçmişe takılmanın anlamı yoktur. Şimdi yeni kişilerle tanışma zamanıdır. Terk edilmiş boğa burcu: Asla vazgeçmez. Sevdiği kişileri kendi malı gibi düşünür. Eğer terk eden sizseniz, tüm iletişim bağlarını kopardığınıza emin olur ve asla yeniden birleşme ümidi vermeyin. Ayrılık sonrası dost kalamayacağınız bir burçtur. Boğa’lar ikinci bir şans umuduyla yıllarca bekleyebilir. Sabırlıdırlar ve arzuladıkları şeylere bağlılıkları çok derindir. Eski sevgiliniz hala size aşıksa başka kimseyle çıkmayacaktır. Bu yüzden ya kesin ayrıldığınızı anlamasını sağlayın ya da sizinle ilgili planlarından vazgeçmeyen Boğa’ya katlanın. Terk edilmiş ikizler burcu: Terk edilen İkizler hayatına devam eder ama sizinle ilgili duygularında zaman zaman gelgitler yaşar. Size dost kalmayı teklif edip sonra soğuk bile davranabilir. Ona değer vermediğinizi hissederse hakkınızda küçük bir dedikodu başlatabilir. Kesin olan şu ki, herkes ayrıldığınızı duyacaktır. Bunu ilk anlatan o olacaktır. İkizler ayrıldıktan sonra kendini en hızlı toparlayan burçtur. Aşkta havai olduğu için en kısa süre içinde yeni birini bulacaktır. Tek edilmiş yengeç burcu: İşte bu felaket demektir. Eğer yengeç gerçekten sevdiyse durumu kabullenmez. Gözyaşları sel olup akarken odasında oturup resminize bakar, mektuplarınızı yeniden okur. Falcılara gidip yeniden bir araya gelip gelemeyeceğinizi öğrenmeye kalkar. Dış görünüşü sakin ve soğukkanlı olsa bile içten yıkılmıştır. Sessiz telefonlar almaya başlarsınız. Bir ay sonra durumu kabullenir. Terk edilen bir Yengeç’in ne kadar süreyle acı çekeceği belli olmaz. Bazısı bir ay sürer. Bazısı içinse bir ay sonraki ruh ikizine rastlayınca biter. Terk edilmiş aslan burcu: Bir süre somurtur ama birkaç hafta sonra yeni birini aramaya çıkar. Duygularını açıkça ortaya serdiği için biraz acı çeker. Ama dikkatini çeken başka birini bulduğunda her şey değişir. Başı bulutlarda dolaşmaya başlar ve varlığınızı unutur. Terk edilen Aslan, acı çekiyormuş gibi davranmaz. Kimse ,onun kötü durumda olduğunu düşünmemelidir. Güçlü bir egosu ve korunması gereken bir imajı vardır. Saygınlığını korumak ve çevresinde bıraktığı izlenim önemlidir. Bu yüzden terk edenin kendisi olduğunu bile söyleyebilir. Terk edilmiş başak burcu: Terk edilen Başak ilişkide neyin yanlış gittiğini enine boyuna analiz edecektir. Ayrılık ona kendini kötü hissettirir ama soğukkanlı davranır. Objektiftir. İlişkinin neden yürümediğine dair mantıklı nedenler bulacak,sizin kusurlarınızı ortaya dökecek ve kişiliğinizi didik didik edecektir. Bu ona kendini iyi hissettirir. Suçun sizde olduğuna kendini ikna eder. Terk edilmiş terazi burcu: Terk edilen Terazi yaklaşık bir hafta boyunca ağlar ve somurtur. Sonra piyasaya çıktığını herkese haber verir. Bir ilişki bittiğinde yeni birini bulması uzun sürmez. Yalnız kalmaktan nefret eder. Kaldı ki büyük ihtimalle hazırda bekleyen bir potansiyel sevgili vardır. Terk edilen Terazi için endişenlenmeyin. Her seferinde dört ayak üstüne düşer. Terk edilmiş akrep burcu: Eğer ondan kurtulmak istiyorsanız ayrılmaya kendisiinin karar verdiğini düşünmesini sağlayın. İlişkiden yavaş yavaş uzaklaşın. Eğer yaralanırsa intikam almayı seçebilir. Hepsi bu şekilde davranmaz. Ama mutlaka akıllarından geçer. Eğer sizi geri kazanmak isterse hiç bir şey buna engel olamaz. Her tür taktiği uygulamaktan çekinmez. Ayrılacaksanız, bunu istediğinize emin olmalısınız. Çünkü Akrep bir kez kalbini kapattı mı bir daha girmenize izin vermez, kapıyı sonsuza kadar mühürler. Terk edilmiş yay burcu: Terk edilen Yay kısa süre içinde yeni birini bulacaktır.”Olan olduktan sonra ağlamanın yararı yok” diye düşünür. İyimserdir. Evrenin çok yakında ona yeni birini göndereceğini bilir ya da flört etmekte olduğu biriyle çıkmaya başlar. Onun hayatında, geçmişten kalan ve kendisine ikinci bir fırsat verilmesini bekleyen biri daima vardır. Kendi istemedikçe uzun süre yalnız kalmaz. Terk edilmiş oğlak burcu: Her şey yolundaymış gibi davranacaktır. Sakin görünüşünün altında çok üzülecek ama duygusal yanını size gösretmeyecektir. Aşk konusunda tedbirlidir. Bu yüzden hemen yeni bir ilişkiye girmesini beklemeyin. Kalbini onarması zaman alır. Ayrılığa mantık açısından bakacaktır. Ama tek başınayken birkaç damla gözyaşı dökebilir. Terk edilmiş kova burcu: Çevresinde moralini yüksektecek bir sürü arkadaşı vardır. Onun haftalarca üzülmesini beklemeyin. Çünkü Kova “olan olduktan sonra ağlamanın yararı yok” diye düşünür. Duygularını düşünselleştirir, söze döker. Sizinle en başından derin duygusal ilişkiye girmediği için haklı olduğunu düşünür. Yeni bir sevgili bulmamın da zamanı gelecektir ama şimdi dostlarıyla birlikte olmanın tadını çıkarma zamanıdır. Terk edilmiş balık burcu: Haftalarca ağlayacaktır. Ona veda ettikten sonra koşarak oradan kaçın. Balık ne hata yaptığını ve neden ilginizi yetirdiğinizi soracaktır. Ayrıntıları öğrenmek ister. Mektup yazacak ve sizi tekrar kazanmak için araya dostlarını sokacaktır. Ona böyle bir ihtimalin olmadığını kesin olarak belirtin. Aksi halde peşinizden ayrılmaz. Bu romantik peri masalının bittiğini kavrayınca bir başka masala yönelecektir. Gizliden gizliye bu oyundan hoşlanır. Balık pembe dizileri sever. Koç Burcu: Hedef bulamama, tartışacak kişi ya da konu bulamama korkusu. Boğa Burcu: Huzur bulamama korkusu, huzurun bozulması korkusu. İkizler Burcu: Bilgi verme ve bilgi alma işlevini sürdürememe, ellerini ve konuşma yeteneğini kaybetme korkusu. Yengeç Burcu: Başına bela gelme korkusu; başına her şey gelebilme ihtimali korkusu. Aslan Burcu: İzleyici bulamama korkusu; kendini alkışlamak zorunda kalma korkusu. Başak Burcu: Belaya bulaşma, hastalığa bulaşma, hastalığın bulaşması korkusu. Terazi Burcu: Popüler bir partner bulamama, popüler olamama korkusu; tartışma korkusu. Akrep Burcu: Güçsüz kalma korkusu, gücünü kaybetme korkusu. Yay Burcu: Bilgi bulamama, duygu ve düşüncelerini aktaramama korkusu. Oğlak Burcu: Başkaları ne der korkusu; parasız kalma korkusu. Kova Burcu: Yalnız kalma korkusu; sıradanlaşma korkusu. Balık Burcu: Partner olmadan yalnız kalma korkusu; duygusal ifadeyi aktaramama korkusu. Gelin bir çiftçi gibi düşünelim. Ve burçları karakterize edelim. Koç Zodyağın ilk burcudur. Dünyaya gelen ilk kişi gibidir. Kimseden korkmaz. Kendi başınadır. Artık bu mevsimde çiftçi toprağa ekinini bırakmıştır. Yani daha ortaya çıkmamış olan üründen bahsediyoruz. Koçta böyledir. Sakınımsızdır. Cesurdur. Korkusuzdur ve korkması ve koruması gereken bir durum yoktur. Bu mevsimde ürünler artık doğmaya hazırdır. Ancak yine de ürünün bakımı yapılmalıdır, ürün korunmalıdır. Tıpkı Yengeç insanı gibi. Köklerine bağlıdır. Güven duymak ve korunmak ister. Bu mevsim geçiş dönemidir. Hava ne sıcak ne de soğuktur. Her renk bir arada uyum ve ahenk içindedir. Hava ılık ve sakindir. Doğanın güzellikleri çevreler her yanınızı. Terazi insanı da mevsimi gibidir. Uyumlu, sakin ve güzel ruhlu. Denge arayan, güzellik arayan diplomattır. Bu tarih aralığına baktığımızda hayatta kalması zor bir dönemdir. Çiftçi kış hazırlıklarını yapar. Ancak bunu yaparken geçmişten ders alır, çevresindekilerle kendisini kıyaslar. Onların ne yaptığıyla da ilgilenir. O zorluklarla mücadele etmesini iyi bilir. Hep en iyi olmayı hedefler. Strateji onun işidir. Oğlak burcu insanı zor bir mevsimde doğmuştur o yüzden zorluklarla mücadele etmeyi gayet iyi bilir. Sabit burçlar: Mevsim ortalarındaki burçlardır bunlar. Bu burçların tipik özelliği şartları devam ettirmeleridir. Mevcut düzeni korur ve sürekliliği sağlarlar. Dikkat edin Boğa’nın başladığı mevsime. Doğanın en bereketli dönemlerinden biri. Ürünlerin büyümeye başladığı, bolluğun yaklaştığı dönem. Çiftçimiz bu dönemde somut ve sabit bir şeyler elde etmek ister. Neyi beklediğini bilmek ister. Büyümeyecek ürünü beklemez çiftçi. Tıpkı Boğa insanı gibi. Güven duymak ister. Sabırlıdır. Neye yatırım yapacağını gayet iyi bilir. İşte geldik doğanın en verimli olduğu döneme. Bolluğun, bereketin ve olgunluğun dönemi. Her şeyin merkezindeki gezegen olan “Güneş” parlıyor. Toprak üretken. Çiftçinin en mükemmel ürünü bu mevsimde hasat edilecek. Tıpkı Aslan insanı gibi bu mevsimde de her şeyin en mükemmeli vardır. Çeşitlilik çoktur. Ve gösterişi seven Aslan insanının gösteriş yaptığı dönemdir. Yaptığın şeyin kalitesinin farkında olan Aslan insanı bu işi en iyi haliyle sunmak ister. Akrep burcunun mevsimi “ölüm” mevsimidir. Kopuşların, kayıpların mevsimidir. Bu yüzden hayatta kalmaya çalışan Akrep insanı kendini korumak ister. Doğada zorlu şartların baş göstermeye başladığı bu dönemde Akrep kendisine zarar verebilecek her şeyden kendisini korumak ister. Her şeye şüpheyle yaklaşır. Kendisini korumak isterken dikkat edin abartıp size saldırabilir! Akrep zodyağın en tehlikeli burçlarından biridir. Sezgileri güçlüdür ve düşmanının zayıf noktalarını bilir. Stratejiyi tıpkı Oğlak gibi iyi uygular. Onu kendinize düşman edinmeyin zira sizi hiç beklemediğiniz bir anda sokabilir! Değişken burçlar: Var olan şartlara ayak uydurmasını gayet iyi bilirler. Şartları değiştirmez, uyum sağlarlar. Değişime kolay ayak uydururlar. Mevsim sonlarındaki burçlar değişken grupta yer alırlar. Bu mevsim yeni bir arayış dönemidir. Çiftçimizin kış için hazırlıkları tamamdır. Artık çevreyi merak etme, kontrol etme, kimin ne yaptığını öğrenme zamanıdır. Bolluk dönemi değildir bu dönem o yüzden Yay burcu insanları verici değildir. Bağımlılığı yoktur hiçbir şeye. Kaygısızlardır biraz. Meraklıdır ve çevresindekileri kontrol etmek ister. Hz.Yusuf'un kaderinde önce öldürülmesinin planlanması, sonra da vazgeçilip kuyuya atılması vardır. Yoksa yanlış kader anlayışında olduğu gibi, kaderin değişmesi, gibi bir durum kesinlikle söz konusu değildir. Hazreti Yusuf Peygamberin kaderi tüm bu ayrıntılarla beraber yaratılmıştır. Yusuf Peygamber babasına rüyasını anlattığında, babasının rüyasını kardeşlerine anlatmaması konusunda onu uyarmasının sebebi, kardeşlerinin güven vermeyen tavırlarıydı. Yakup Peygamber ilim sahibi, ferasetli bir insan olduğu için oğullarının fitne çıkarmaya müsait olan karakterlerinin ve kıskanç yapılarının farkındaydı. Onları çok iyi tanıdığı için Hz. Yusuf'a tuzak kurabileceklerini de tahmin etmekteydi. Bu nedenle Hz. Yakup şeytanın düşmanlığına dikkat çekmiş, Hz. Yusuf'a temkinli olmasını öğütlemiştir. Ayetlerden açıkça anlaşıldığı gibi, kardeşlerinin Hz. Yusuf'a tuzak kurmalarındaki en büyük etken kıskançlıktı. Babalarının Hz. Yusuf'u ve kardeşini daha çok seviyor olduğunu düşünmeleri onları bu kıskançlığa itmekteydi. Yalnızca kendilerine yönelik bir sevgi istiyorlar, kendilerinin sayıca çok oluşları ve birbirlerini pekiştirmeleri nedeniyle sevgiye daha çok hak sahibi olduklarını düşünüyorlardı. Elbette ki bu, son derece çarpık bir mantıktır. Çünkü Kuran'a göre müminlerin birbirlerini sevmedeki tek ölçüleri takvadır. Kim takvaca üstünse, kim Allah'tan daha çok korkuyor ve O'nun sınırlarını en titiz biçimde koruyorsa, kim en güzel ahlakı gösteriyorsa müminler doğal olarak en çok o kişiyi severler. Açıktır ki, Yakup Peygamber de oğullarına sevgi yöneltirken bunu ölçü almıştır. Hz. Yusuf diğer oğullarından çok daha takva ve güzel ahlaklı olduğu için, bu durumda onu en çok sevmesi son derece doğaldır. Fakat Hz. Yusuf'un kardeşleri bu bakış açısına sahip olmadıkları için, babalarının Hz. Yusuf'a ve kardeşine olan sevgisini de anlayamamışlardır. Bu da onların dinden uzak karakterlerinin önemli bir göstergesidir. Dikkat çeken ayrı bir yönleri de, babaları hakkında kullandıkları saygısız üsluptur. Babaları üstün bir akıl ve feraset (anlayış) sahibi seçkin bir peygamber olmasına rağmen onlar Hz. Yusuf'a ve kardeşine olan sevgisinden ötürü babalarının "şaşkınlık içinde" olduğunu iddia etmekteydiler. Bir peygambere karşı böyle saygısız bir üslup kullanmaları da onların imani zayıflıklarını göstermektedir. Onların Allah korkularının zayıf olduğunu anlamak için kuvvetli bir delil daha vardır: Hz. Yusuf'u öldürmek istemeleri... Allah'tan korkan, ahirette hesap vereceğine inanan, Allah'ın her an kendisini işittiğini ve gördüğünü bilen bir insanın Allah'ın haram kıldığı böyle bir fiile yanaşmayacağı ve hatta aklından dahi geçirmeyeceği son derece açıktır. Ancak bu kişiler babalarının kendilerini sevmesini sağlamak ya da kıskançlık duygularının neden olduğu öfkelerini dindirmek için, çözümü Hz. Yusuf'u öldürmekte ya da bir yere atıp bırakmakta bulmuşlardır. Öldürmek zaten haramdır, ancak küçük yaşta bir çocuğu bir yere atıp bırakmak da çok vicdansızca bir harekettir. Bunu yapmayı düşünebilen insanlarda vicdan, merhamet gibi duyguların bulunmadığı son derece açıktır. Görüldüğü gibi, Hz. Yusuf'un kardeşleri acımasız ve zalimdirler. Üstelik mantık örgüleri de çok bozuktur. Hz. Yusuf'a böyle bir kötülük yapıp, harama girdikten sonra hala "salihlerden olmayı" ummaktadırlar. Elbette ki, bir insan bir kötülük işledikten sonra Allah'tan samimi bağışlanma isterse, düzelmeyi ve salihlerden olmayı umabilir. Fakat bu kişiler yaptıklarının yanlış olduğunu bile bile, önce kötü bir amel işleyip, sonra da salihlerden olmayı planlamaktaydılar. İşte bu, onların sağlıklı bir muhakeme yeteneğine ve mümin karakterine sahip olmadıklarının bir başka delilidir. Görüldüğü gibi, her ne kadar kardeşleri Hz. Yusuf'a tuzak kurarlarsa kursunlar, aslında Yusuf Peygamber Allah'ın kendisi için belirlediği kaderi yaşamaktadır. Kimse kendisi için belirlenen kaderin dışına çıkamaz. Allah daha Hz. Yusuf doğmadan çok önce bu kaderi yaratmıştır, Yusuf Peygamber de bu kaderi aynen yaşamıştır. Bu arada bir konuyu daha hatırlatmak gerekir ki, Hz. Yusuf'un ölümünü engelleyen, onu kuyuya atma fikrini getirerek yaşamasını sağlayan kardeşi değil, Allah'tır. Allah dilemese Hz. Yusuf'un kardeşi onu kuyuya atma fikrini düşünemez ve böyle bir fikir veremezdi. Ancak Hz. Yusuf'un kaderinde önce öldürülmesinin planlanması, sonra da vazgeçilip kuyuya atılması vardır. Bundan dolayı kardeşi böyle bir fikirle gelmiştir. Yoksa yanlış kader anlayışında olduğu gibi kaderin değişmesi gibi bir durum kesinlikle söz konusu değildir. Yusuf Peygamberin kaderi tüm bu ayrıntılarla beraber yaratılmıştır. Kardeşlerinin onu öldürmemeleri de onların bozulmuş bir planıdır. Ancak o planı da en baştan bozulmuş olarak yaratan Allah'tır. Allah'ın gaybı bildirmesinin ve olayların da tam bu şekilde gerçekleşmesinin sırrı, bizim için "gayb" olan herşeyin, Allah katında ezelde tespit edilmiş, yaşanmış ve bitmiş olmasıdır. Gayb insanlar için vardır. Zamandan ve mekandan münezzeh olan Allah ise herşeyi yaratan ve bilendir. Tüm zamanı ve tarihi de, tek bir an olarak yaratmıştır. Yaşanan herşey Allah'ın dilediği şekilde meydana gelir. Ve her birinde müminler için hayır ve güzellikler vardır. Yaşanılan ve sabır gösterilen her zorluğun ardından, Allah dünyada ferahlık ve nimet, ahirette ise sevap ve mükafat verir. Amerika eski cumhurbaşkanlarından Abraham LINCOLN, 14 Nisan 1865 yılının gecesinde şu rüyayı görmüştür. "Beyazsaray'ın hizmetkarları telaşla, oradan oraya koşuşturuyorlar ve herkese cumhurbaşkanlarının öldürüldüğü haberini veriyorlar. Sabah olduğunda gördüğü rüyayı eşine ve yakınlarına anlatır. Tedirgin olmuştur. Bu sebeple o günkü kabine toplantısında bile bu rüyadan bahsetmek lüzumunu hisseder. Abraham LINCOLN'ün yakınları bunu hayra yorar. Ve ömrünün uzayacağına delalet edeceğini söylerler. Aynı günün akşamı Abraham LINCOLN ve karısı, dostlarıyla birlikte tiyatroya gitmeye karar verirler. LINCOLN'ün oturduğu locanın kapısı aralanır. Katil tabancasındaki bütün mermeleri LINCOLN'ün üzerine boşaltır. LINCOLN, oturduğu koltuğa cansız yığılır. Böylece rüyanın gelecekten haber veren işareti ile bir ülkenin devlet başkanı ölümle tanışır. Gördüğü rüyanın tesiriyle tedirgin olduğu günün akşamında, rüyası gerçekleşir. Enfal Suresi 43. Ayet Hani Allah, sana rüyandan onları az gösteriyordu; eğer sana onları açık gösterseydi, korkacak ve kumanda da tartışacaktınız. Fakat Allah, selamete bağladı; çünkü O, bütün sinelerin özünü bilir. Yusuf Suresi 4. Ayet Bir vakit Yusuf babasına: "Babacığım, ben rüyada onbir yıldızla güneşi ve ayı gördüm. Gördüm ki, onlar bana secde ediyorlar." dedi. Yusuf Suresi 5. Ayet Babası: "Yavrum, rüyanı kardeşlerine anlatma, sonra sana bir tuzak kurarlar; çünkü şeytan, insana belli bir düşmandır. Yusuf Suresi 36. Ayet Onunla birlikte zindana iki delikanlı daha girdi. Birisi: rüyada kendimi şarap sıkarken görüyorum." dedi. Diğeri: "Ben, rüyada kendimi basımın üstünde bir ekmek götürürken görüyorum, ondan kuşlar yiyor. Bize bunun tabirim haber ver; çünkü biz seni iyilik sevenlerden görüyoruz." dedi. Yusuf Suresi 41. Ayet Ey zindan arkadaşlarım, gelelim rüyanıza: "Biriniz, efendisine yine şarap sunacak, diğeri asılacak ve kuşlar basından yiyecek; işte fetvasını istediğiniz mesele halledildi!" dedi. Yusuf Suresi 43. Ayet Bir gün hükümdar: rüyamda yedi arık ineğin yemekte olduğu yedi semiz inek ve yedi yeşil başakla diğer yedi kuru başak görüyorum. Ey efendiler, eğer rüya tabir ediyorsanız, bana rüyamı halledin!" dedi. Yusuf Suresi 44. Ayet Dediler ki: rüya dediğin, demet demet hayallerdir, biz ise hayallerin tabirini bilmiyoruz." Yusuf Suresi 46. Ayet Gelip: "Yusuf, ey dosdoğru kişi, "yedi semiz inek. bunları yedi arık inek yiyor ve yedi yeşil başakla diğer yedi kuru başak" rüyasını bize tabir et, ümit ederim ki, o insanların yanına cevapla dönerim, ola ki, değerini bilirler dedi. Yusuf Suresi 100. Ayet Ana ve babasını taht üzerine çıkardı, hepsi Yusuf için secdeye kapandılar. Yusuf da:"Ey babacığım, işte bundan önceki rüyamın yorumu bu; gerçekten Rabbim onu gerçekleştirdi, cidden bana iyilikte bulundu;çünkü beni zindandan çıkardı; şeytan benimle kardeşlerimin arasını dürtüştürdükten (bozduktan) sonra sizi çölden buraya getirdi. Gerçekten Rabbim, dilediği şey için aldığı tedbirde çok hoş davranır. Gerçek şu ki, O, herşeyi çok iyi bilen, her yaptığın bir hikmete göre yapandır! yeri yaratan Rabbim, dünya ve ahirette benim velim Sensin! Benim ruhumu müslüman olarak al ve beni iyiler arasına kat!" dedi. Enbiya Suresi 5. Ayet (Onlar): "Bunlar bir takım karışık rüyalar; yok onu kendisi uydurdu; yok o bir şairdir; öyle değilse, önceki peygamberlerin gönderdikleri gibi, bize bir mucize getirsin!" derler. Saffat Suresi 102. Ayet (Oğlu) yanında koşma çağına gelince : "Yavrum, ben seni rüyamda boğazladığımı görüyorum. Artık bak ne düşünürsün?" dedi. (Çocuk da): "Babacığım sana ne emrediliyorsa yap! Beni inşaallah sabredenlerden bulacaksın!" dedi. Saffat Suresi 105. Ayet rüyaya gerçekten sadakat gösterdin, işte Biz güzel davrananları böyle mükafatlandırırız." Fetih Suresi 27. Ayet Andolsun ki, Allah gerçekten peygamberine o rüyayı hakkıyla doğru gösterdi, Şanıma yemin ederim ki, İnşaallah Mescid-i Haram'a güvenlik içinde başlarınızı kazıtarak, kırkarak korkusuzca gireceksiniz! Ancak O, sizin bilmediğiniz şeyleri bildi de ondan önce yakın bir fetih verdi. Burada, Kur’an-ı Kerim’deki bir sureden söz edelim: 12′nci sure olan 111 ayetli Yusuf Suresi. Surede apaçık olan anlam, geçmiş peygamberlerden Hazreti Yusuf’un hayatı hakkındaki haberdir ki Allah katındaki tarihi gerçeklerdir. Bu husus üçüncü ayette, KISSA kelimesi kullanılarak belirtilmiştir. İkinci anlam, bu kıssadan alınacak derslerle, düşündürücü öğelerle ilgilidir (İBRET kelimesi kullanılmıştır) ki hususda 111′inci ayyette vurgulanmıştır. İbret olan husus, hayatımıza nakşedeceğimiz, davranış geliştireceğimiz şeylerdir. Üçüncü anlamda bu kıssada vurgulanan menzillere, mekanlara, Cenabı Hakkın sıfat ve kudreti hakkındaki apaçık delilerle, kainatın gerçekleriyle ilgilidir ( Ayet, çoğulu Ayat kelimesi kullanılmıştır ) ki bu husus da yedinci ve 105′inci ayette vurgulanmıştır. Ayet olarak bildirilenler, Allah’ın Hazreti Adem’e öğrettiği ve fakat zaman içinde unutulan bilgilerden bir bilgi olabilir. Kur’anı-ı Kerim’in icazı da,hem dini hayatımızı düzenlemekte kullandığımız gerçek anlamını, hemde her konuda (ki Hazreti Adem’e tümünü öğrertmiştir) kimi zaman açıkça, kimi zaman da sembollerle veya icaz yoluyla verdiği haberleri ve daha bir çok güzelliği kapsamaktadır. Bilindiği gibi Güneş sistemi Saman yolu galaksisi merkezi çevresinde ve belirli bir yörüngede dönmesine devam etmektedir. Bu dönüş sırasında Güneşten daha parlak bir yıldızın etkisi altıne girmesi mümkündür, hem de herhangi bir çarpışma veya çatışma olmadan; Hazreti Yusuf’un anne, baba ve kardeşlerine ”Güven içinde Allah’ın iradesiyle Mısır’a girin!” dediği gibi. Bu durumda iki güneşli bir sistem söz konusu olacaktır. Bir zamanlar olduğu gibi. Zira Güneş’i simgeleyen Hazreti Yakup’la birlikte yaşıyorlardı, sistemdeki diğer gezegenlerle ve Ay’şa birlikte. Astronomik verilere göre de Güneş sistemimizin Galaksi çevresindeki dolanım yörüngesi, Güneş’ten çok daha büyük bir güneş olan Sirius yıldızının çok yakınından geçmektedir. (Ey Muhammed! Sana Zülkarneyn’den soruyorlar. De ki, size ondan bir anı anlatacağım (23): Gerçekten biz onu yeryüzünde iktidar ve güç sahibi yaptık ve ona istediği her şeyden bir SEBEB (istediği her şeye ve her yere ulaştıracak bir araç, bir yol) verdik (84).O da bir sebebi izledi (bir yol tutup gitti, bir vasıtayla gitti) (85). Nihayet Güneş’in battığı yere ulaştığında, onu (Güneş’i) kara balçık şeklindeki bir AYN’da (gözde, gözede, kaynakta, karadelikte) batıyor olarak buldu. Güneşin doğması veya batması söz konusu olmadığına, yani bu ifadeler mecaz olarak kullanıldığına, Güneş’in ve Ay'ın belirlenmiş bir yörüngede döndüğü ve belirlenmiş bir yere doğru hareket ettiği Kur’an-ı Kerim’in ifadesi olduğuna göre, ayetlerden Zülkarneyn’in dünyanın en doğusuna ve en batısına gittiği anlamını vermenin doğru olmadığını sanmıyorum. Dünya yaklaşık küre şeklinde olduğuna ve sürekli olarak batıdan doğuya doğru döndüğüne göre, dünyanın en batısı veya dünyanın en doğusu ifadeleri de doğru olmasa gerektir. Ayetlerde kullanılan kelimeler de doğu ve batı anlamına gelmekte, güneşin doğuş yeri (büyük ihtimalle ilk oluşum yeri ve/veya bir başka güneşle doğuş yeri) ve güneşin batış yeri ( büyük ihtimalle kayboluş yeri, yok oluş yeri) manasında gelmektedir. Kanaatime göre ayeti kelimelerde, Güneş sisteminin Samanyolu galaksisi çevresindeki dönüşü sırasındaki iki durum, iki olay anlatılmaktadır. Zaman kavramı izafi olmakla birlikte, Zülkarneyn’in yolculuğu zamanda yapılan bir yolculuk olsa gerektir. Güneşin batmakta olduğu yerin kara balçık şeklinde bir göze olarak tanımlanması, günün birinde, Güneş sisteminin bir karadelikte yok olacağını düşündürmektedir. 2-) Rahman suresinin 17′nci ayetinde ”( O ALLAH ), iki doğunun ve iki batının Rabbıdır” buyrulmakdatır. İki doğu ve iki batı konusunda değişik görüşler ileri sürülmüştür. Örneğin, her gün değişimekle birlikte yaz ve kış mevsimlerine güneşin doğduğu ve battığı en uç noktaların, güneşin ve ayın doğduğu ve battığı yerlerin, hem güneşin hemde diğer tüm varlıkların doğusunun ve batısının, yerkürenin iki yarısına göre doğunun ve batının, akıl ve şuur gibi görünmeyen varlıkların ışınlarının doğusunun ve batısının kastedilmiş olabileceği belirtilmiştir. Bu durumda ayetten kastedilen mananın, dünyamızın iki güneşli bir sistem içinde bulunduğu veya bulunacağı zaman kesitindeki durumunu anlattığı da söylenebilir ki daha mantıklı olanda burdur. Zira iki Güneş söz konusu olacağında iki doğu ve iki batı ifadesi daha anlaşılır hale gelmektedir. Doğrusunu Allah bilir. Sonuç olarak diyebiliriz ki, Güneş sistemimize dahil ve fakat Kuiper Kuşağı dışında 4 gezegen daha keşfedilmeyi beklemektedir. Kaynak: İnsanın Burçlar Kuşağındaki Yürüyüşü / Hasan KOCABAŞ / Mozaik Yayınları. Astrolojik açıdan bir doğum haritası o kişinin rüyaları ve rüya rehberliği hakkında geniş bilgi verebilir. Örneğin; Koç, Yay, Balık, Yengeç ve Aslan burçları rüyalarla yakından ilgilidir. Rüyalarımızla olan ilişkimizi burcumuzdan bir önceki burç belirler. Örneğin; Koç burcu için Balık burcu rüya dünyasının kapısını aralar. Bu durum sezgisel alan rüyalarını açıklar. Koçların rüyaları genellikle rehber rüyalardır. Hastalanacağı zaman kabus, güzel bir olay yaşayacağında yeşillik deniz mavi görür. Boğa burcunda olanlar rüyalarına değil günlük olaylara önem verir. Rehber olarak mantığını kullanır. Düşmanlığı öne almayan temiz kalbiyle zaman zaman öncü rüyalar görebilir. Başak burcu insanları rüyaları gelişmiş anksiyete eğilimi nedeniyle kabus veya bilinçaltı rüyaları şeklinde olur. Gördüğü rüyaları hatırlayabilmesi için zihinsel olarak sağlıklı olmalıdır. Akrepler rüyaları kabus gizem cinsellik içeriklidir. Hatırladığı rüyaları mutlaka geleceği de işaret eder. Düşme korkusu rüyalarına mutlaka yansır. Yay burcundakiler rüyalara önem verir. Sezgilerine ve rüyalarının gerçekleşeceğine inanır. Bu konuda deneyimlerinden yararlanır. Oğlaklar rüyalarını hatırlamayan burçlardandır. Kafası ve bilinçaltı güvenlik para kariyer konuları ile o kadar meşguldür ki güvenliğe ve uçmaya düşmeye dönük rüyaları sıklıkla görür ancak hatırlayamaz. Kovalar uçmak olağanüstü güçlere sahip olmak rüyalarının vazgeçilmez figürleridir. Fantastik rüyalar görmekten hoşlanır. Rüyalarının sembolik dilini mutlaka çözer. Koç Burcu : Yenilmeye tahammül edemiyorsunuz. Hep ilk sıralarda yer almaya çalışmak bilinçaltınızı zorluyor. Bu da baş ağrılarına neden olabilir. Derin nefes alın ve şu sözleri tekrarlayın: “Hayatın akışı için rahatım”. almıyorsunuz. Konfor alanınızı ve paranızı kaybetmek en büyük korkunuz. Değişime direnmek yerine işin iyi taraflarını düşünün. Her şey sandığınızdan iyi gidecek. İkizler Burcu : Size verilecek en büyük ceza konuşmadan bir dakika geçirmek! Zihniniz aynı anda birçok düşünceyle dolu! ‘Şimdi’ye odaklanın ve ayda bir gün telefon detoksu yapın. Yengeç Burcu : İnsanları ‘benimkiler’ ve ‘başkaları’ olarak ikiye ayırmayın. Geçmişi bağışlamanın ve duyguları bir tarafa bırakıp gerçekleri kabullenmenin tam zamanı. pahasına olursa olsun her ortamda ilgi odağı olmalısınız! Yaptığınız her işe eğlence katın mucizelerin gerçekleştiğini göreceksiniz. Başak Burcu : Şunu kabul edin: Aklınızdaki bütün işleri mükemmel olarak bitirmeye ömrünüz yetmez! Her aksaklığı çözmeye çalışmak sindirim sisteminize zarar verebilir. İşe ‘plan’ yapmadan yaşamakla başlayın. Terazi Burcu : Herkesi memnun etmek en büyük amacınız. Her sabah aynaya bakıp en az iki güzel yanınızı keşfedin sonra kendinize “seni seviyorum” deyin. Unutmayın hayatınızın merkezinde siz varsınız. Akrep Burcu : Paylaşmak sizin için hayatın amacı. Ama karşıdan aynı tutkuyu görmezseniz karalar bağlıyorsunuz. Sevdiklerinizin sadece size ait olmadıklarını anlamaya çalışın. Onlara alan bırakın. Yay Burcu : Neşeniz ve gezgin ruhunuz kabına sığmıyor! Kısıtlanmak ve sabretmek size göre değil. Uzun soluklu bir evlilik için oturduğunuz evi sık sık değiştirin. Tutarlı bir kariyerin yolu proje bazında çalışmaktan geçiyor. bırakmıyor temkinli ama sistemli adımlar atarak hep bir üste doğru çıkıyorsunuz. Her sorumluluğu üzerinize almamayı öğrenin. Kova Burcu : En büyük korkunuz sürünün içindeki koyunlardan olmak. Karşınızdakilerin fikirlerine kulak verin! Mantığınızı bir kenara bırakarak rahatlamak için nefes egzersizlerinden faydalanın. Balık Burcu : Yaratıcı ve sevecensiniz ama biraz da detaylara odaklanın. Aşırı yemek sigara içmek televizyon seyretmek uyumak gibi bağımlılıklar size zarar verebilir.